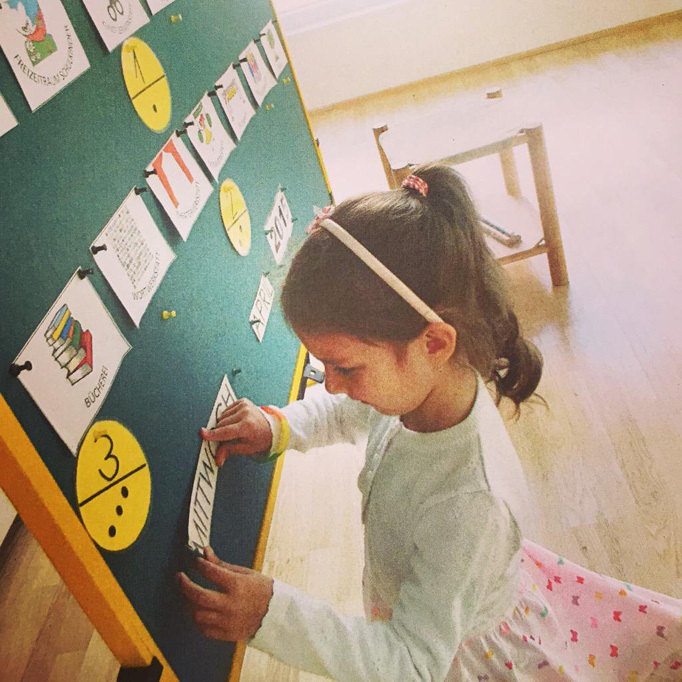 In this article I want to show you an incredible easy way of how children can learn almost everything. For several month I helped a 4 years old girl to discover her own way of learning a foreign language. This technique works for children, teenagers and even adults. Read how simple it is and how you can start today. I’m a proud father of a great young girl and I started to think about her education very early and how I can have more influence on this serious issue. This blog post is not about to argue against education system. I want to raise awareness that parents, family members and close friends have much more educational influence than they might think. I want to show you a great result of an interesting learning experiment. First of all, I am NOT a teacher. As a Scrum Master I am focused on helping organizations to create stable, self-organised and high performing teams with a clear direction. Another very important responsibility is to educate people on Agile Methodologies. After reading a lot of literature like “Training from the back of the room“, “The 10 Minute Trainer” or “Leading Teams” I thought on how I could apply these fantastic models on my daughters education without destroying her natural way of learning. Don’t get me wrong, I truly believe that children have a natural curiosity which is the engine of achievement. However, this curiosity causes questions – A LOT OF questions (Parents know what I mean). Many of those can be answered very fast, but what if a young girl asks you for learning a new language? What would you tell her? Sure you could answer: “You will learn it later in school”. But why should I stop her drive in learning something new? If I have the chance to light the spark of curiosity in my own child, I will accept the challenge! I encouraged her to take ownership on her new board so that she can progress without any further assistance. That’s why I chose to introduce her a helpful tool instead of teaching her english on a classical way. 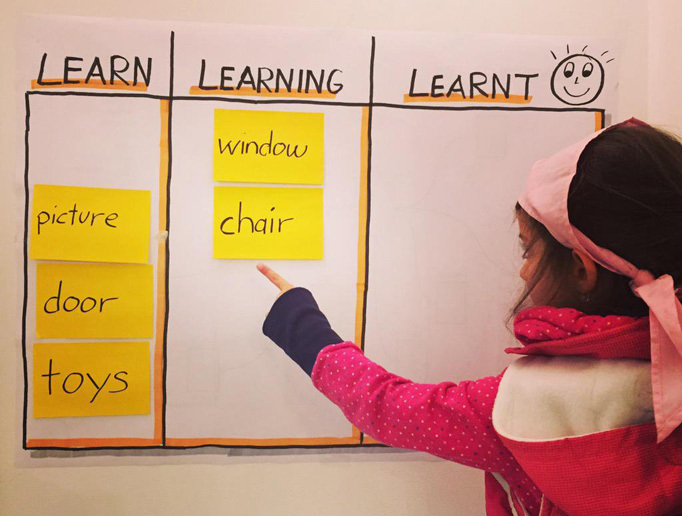 She was excited about the Kanban Board and asked me right away to fill up the “learn”-column. Now comes on of the most important details I discovered within this gamified method: I only filled up the learning column with words and phrases that fit into her life’s context. Every morning before I left to work, we made a small stand-up and I asked her for the vocabulary in the “learning” column. This worked out surprisingly well as she understood it as a game without having fear to fail. She jumped around and laughed which was a clear sign for me that this experiment worked great for her. 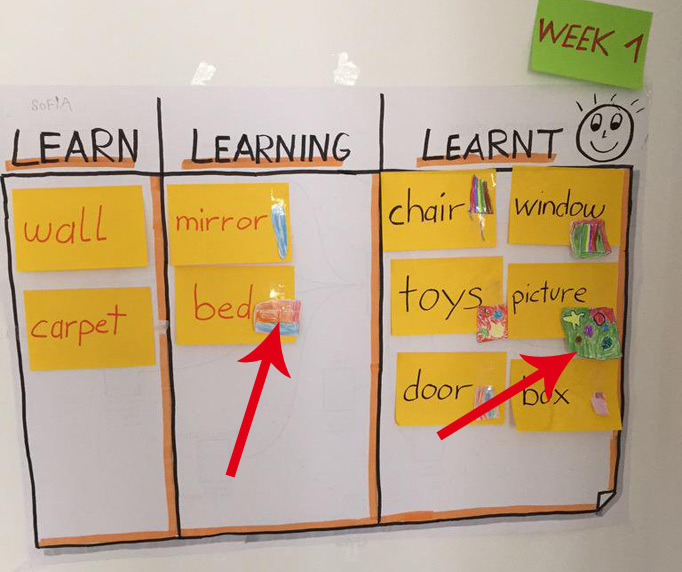 She was just excited when she moved an item from the middle column to the right “learned” – column. “If I focus only on one word at a time, I can learn it better”. In a professional Agile Environment we call this the “Work in Progress Limit” (WIP). Focusing on one item at a time seems to be something natural. She changed the rules of the tool to her needs and this was exactly what I wanted to achieve. After about 4 weeks she was able to talk some simple sentences in english. I was incredibly happy to see her progressing. She took 100% ownership on her board and adjusted it with the time. This very easy technique gives equal weight to arts, self-confidence and independence. Instead of following routine algorithms that we get taught in school, we should encourage our children to excite the power of imagination and curiosity. With this article I want to engage my readers to follow this learning experiment. Feel free to try it out and let me know how it worked out. Share your experience with us and tell the community in the comments on how your kids received the idea of learning iteratively. As I wrote in the beginning of this article, this model can be adapted for young kids, teenagers and even adults. Just run the experiment like I did and measure your success. You might fail, but the chances to succeed are much higher. In order to speak a language, listening is crucial. 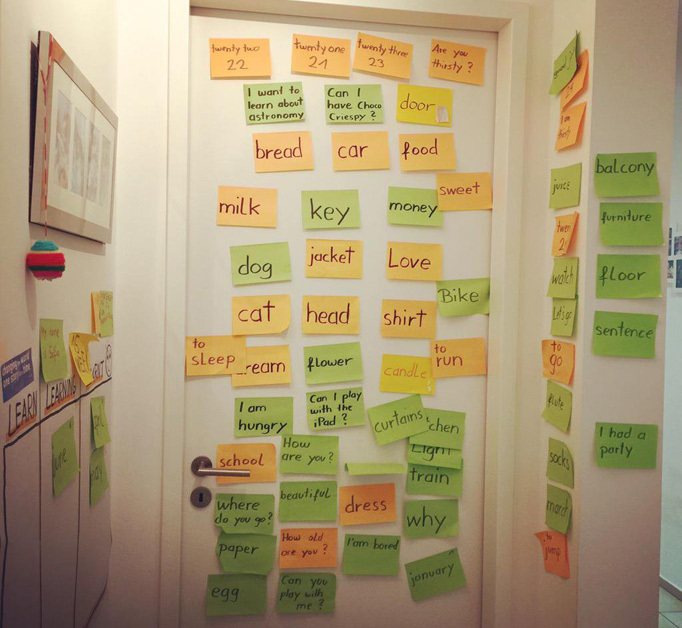 Learning written words / reading is rather useful for developing “writing” skills. So, it makes more sense to use short dialogs (everyday communications, listening to stories for children, etc.) 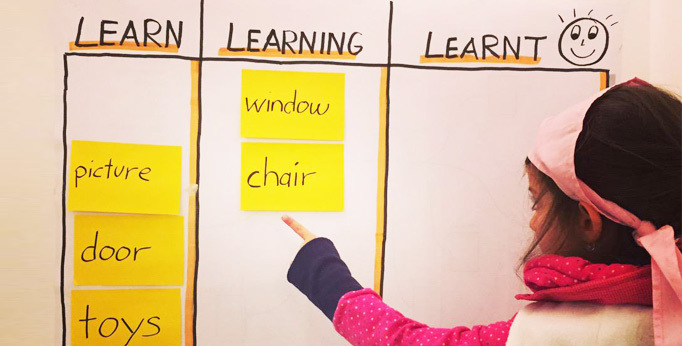 than to memorize written words on a Kanban board if the goal is to improve the “oral” skills of your daughter. But, many roads lead to Rome… and the most important thing is probably that your daughter was motivated and happy during the whole learning experience.